Used to prevent the spread of tooth decay or correct any cosmetic damage, a filling is just one of the ways our dentists preserve your health. Before placement, any decay must be removed. We use local anaesthesia to ensure maximum comfort for our patients. 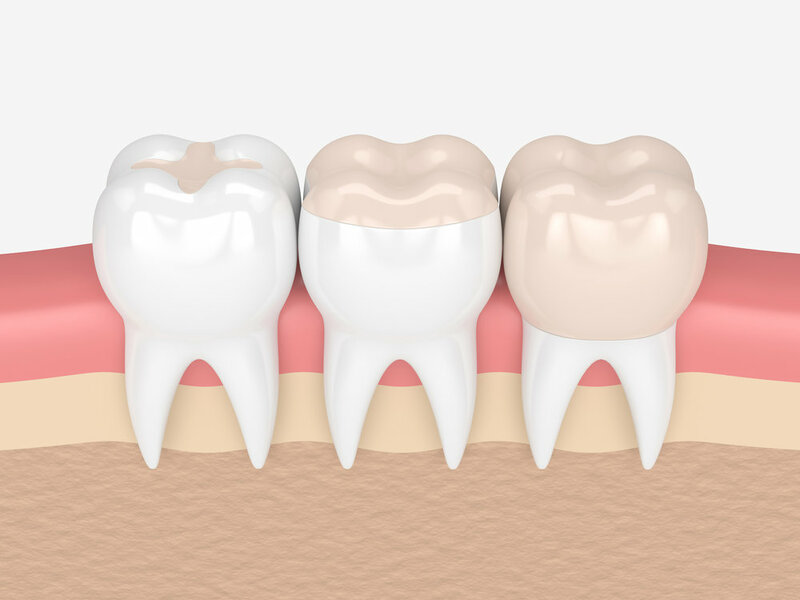 There are two different types of fillings: Amalgam (otherwise known as silver fillings) and Composite, the colour of which will be customised to match your natural teeth. Amalgam fillings are made up of a mixture of metals. They typically contain about 50 percent mercury, along with tin, copper, silver or zinc. Compared to other types, amalgam fillings have one thing going for them - they're very strong and typically longer-lasting. Amalgam fillings aren't without drawbacks, though. They're silver in color to start and tend to become darker with time, meaning they are fairly conspicuous when you open your mouth. And although it's been determined that the level of mercury in this type of filling is safe for people over the age of six, you might prefer not to have a filling made from this material. A composite tooth filling, typically made of powdered glass and acrylic resin, offers a few advantages over an amalgam filling. For one, the filling can be shaded to match the colour of your existing teeth, making it much less visible. As more people want natural-looking smiles and are becoming more concerned about the mercury in amalgam fillings, composite fillings have become increasingly popular. Our experienced staff will help you by providing the best possible treatment for Whangarei Dental Fillings. Contact us today. The American Dental Association has determined that amalgam fillings are a safe and effective method of filling cavities. The New Zealand Dental Association also believes that amalgam fillings are safe but should not be placed or removed on women during pregnancy.